Visit Rio in a couple of days and fall in love with the famous charming city! Your 3, 4 or 5 Star Selected by Our Experts. An Express Itinerary With all of Rio’s Essentials. Lunch at a Barbecue House. Rio has so much to offer, but sometimes, the stars do not align and you only have a couple of days to get to know it. Nevertheless, you can still make the most of it! Our package is comprised of a 2 day/ 1 night at a 3, 4 or 5 star hotel in the south zone of Rio, right in the heart of the city, where you are close to restaurants, the beach, the nightlife and the main sights of Rio. You’ll see Christ Redeemer, Sugar Loaf and have lunch at a barbecue house. 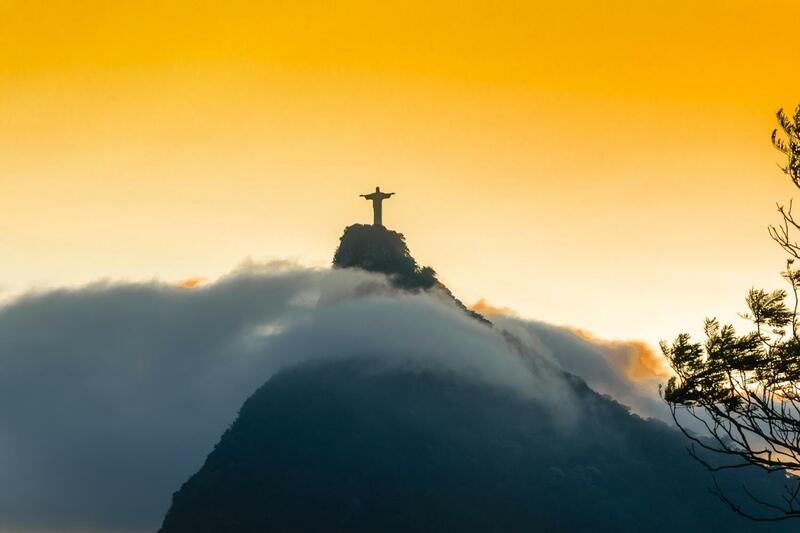 That is the basic check-list while you are in Rio and with you’ll get all that done, plus worry-free private transfers along with the best selections of Hotels in Rio. Our Guide will meet you at the airport for your private transfer to your hotel in the South Zone. Second Day: Your next day will be a full day your of Rio de Janeiro, starting with a panoramic city tour of Downtown Rio with a stop at the Metropolitan Cathedral and then off to Sugar Loaf sitting on Guanabara Bay from where you can see the marvelous views from the city and across the bay. Then off to a Lunch at a traditional Brazilian barbecue: You are served several cuts of juicy meat. You can pick as many as you want and as much as you want and repeat how many times you’d like. In addition to that, there are several different options of salad and sides. After this royal lunch, the afternoon tour will take you to train station beneath Corcovado Mountain from where you will take a 20 minute train ride through the Tijuca Rainforest to get to the top. You will be sitting at the feat of the Christ Statue with its open arms above the city. After a fantastic day in Rio, you are taken back to your hotel and then you are off to finish your trip with a transfer to the airport. Albeit short, your stay will certainly be worthwhile.